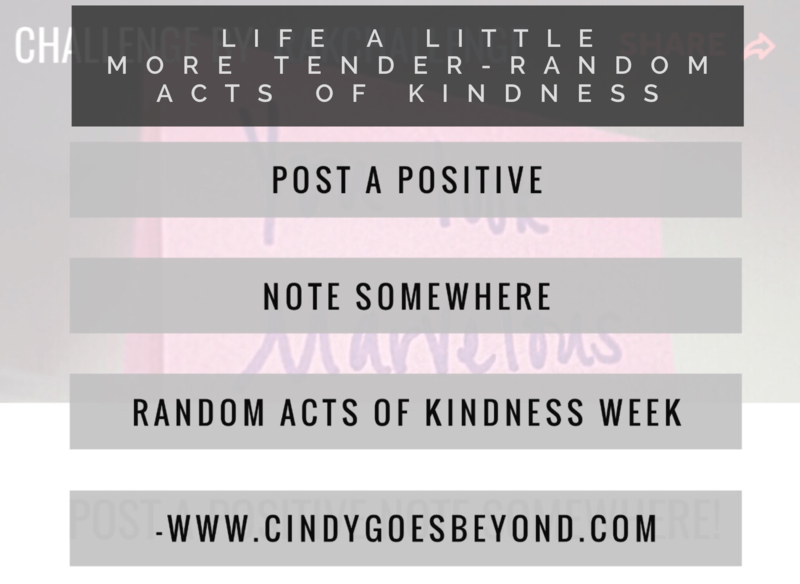 Today was Day Two in Random Acts of Kindness Week. The challenge issued for Monday, from the randomactsof.us app, was to post positive notes around my city. 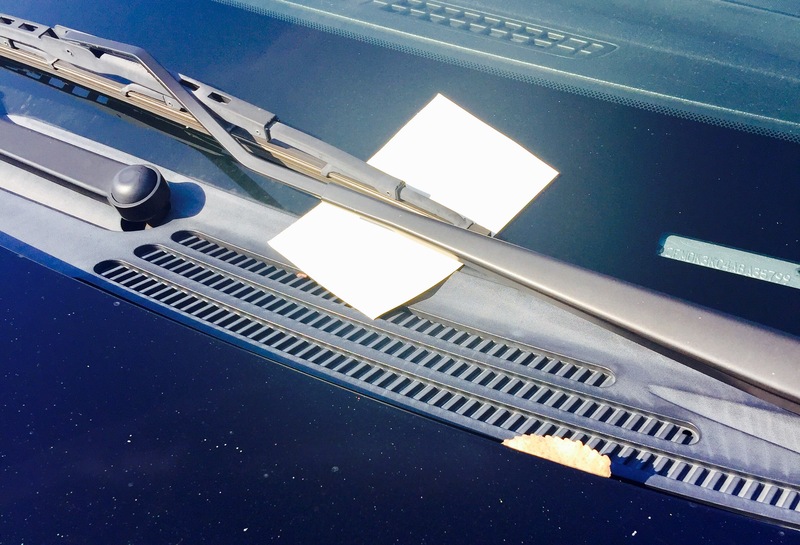 My grandson Dayan and I did a similar activity in 2014, writing encouraging notes and placing them on the windshields of random cars parked in a large mall parking lot. Both of us pushed beyong the edges of our comfort zones to carry out that mission, and had a blast. I was excited to carry out this activity today, leaving notes in easily accessible locations around Joplin. 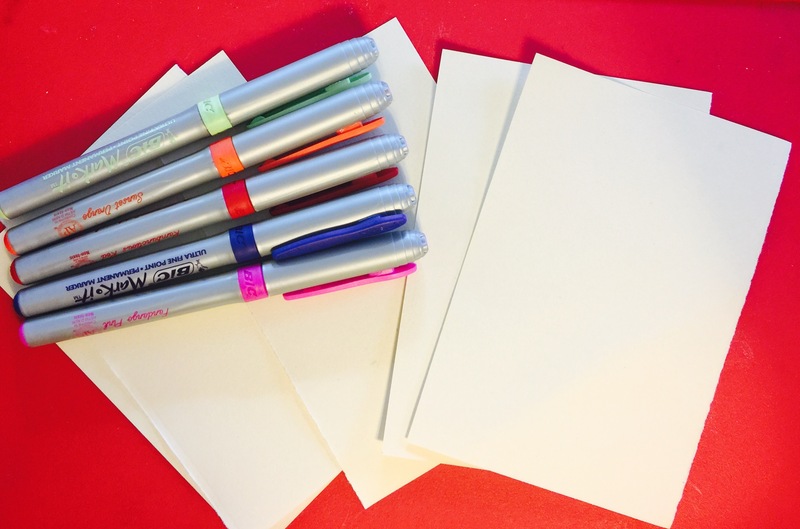 I used small cream papers and brightly colored pens to create positive notes. 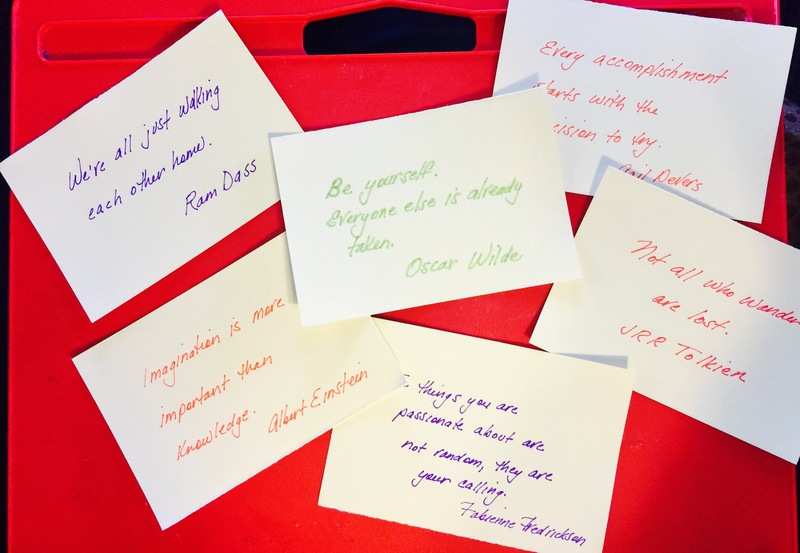 Some of my favorites quotes came to mind, inspiring words that I turn to often, and I went with those. I didn’t question the appropriateness of the quote. If it popped into my head, I used it. Part of the fun, and trust, of doing random acts is not knowing the outcome. I don’t know who found the notes or what impact the quotes had on their lives. I don’t need to know. Not knowing the finder’s life circumstances means I let go of what I perceive might happen and let the Divine do the guiding. This was a fun mission. I didn’t get all of the notes placed today. I’ll finish that task tomorrow, along with carrying out a new activity. What happened, though, as I moved through my day, was that my awareness of being kind was heightened. I noticed people. I smiled at and chatted with more strangers. I said “yes” more, gave a donation to Children’s Miracle Network when asked to at the convenience store, helped people from a place of joy and lightness. I was more kind today, as I tucked my little notes around town. And that is what Random Acts of Kindness Week is all about.